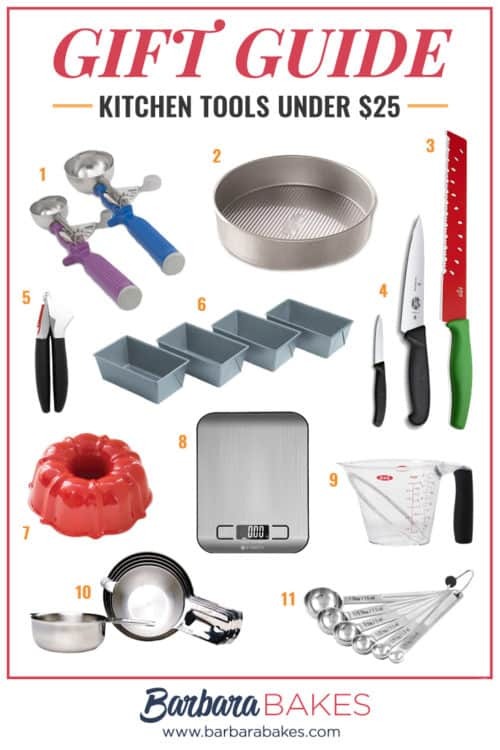 Whatever your budget, this kitchen gift guide will help you find the perfect gift for the baker in your life! Whether you’re going big or just looking for something small and simple, check out my 25+ Amazing Gift Ideas for Cooks. 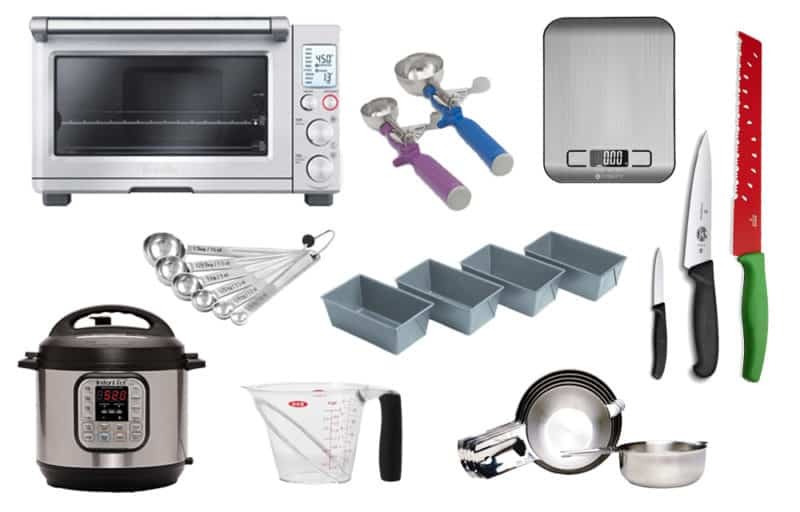 These appliances, pans, and gadgets will make life easier in the kitchen for your loved ones this year. Whether you’re looking for ideas to put on your wishlist or looking for gifts for someone who loves cooking and baking, my kitchen gift guide has all of my kitchen favorites. These high-quality (but not necessarily high-priced) items will be perfect under your tree this year. While I love snagging great Black Friday deals, I hate the crazy crowds. I end up doing most of my shopping online, and I love having the gifts appear on my doorstep. Therefore, I’ve included links to my very favorite things in my kitchen so you can make your shopping easier this year. 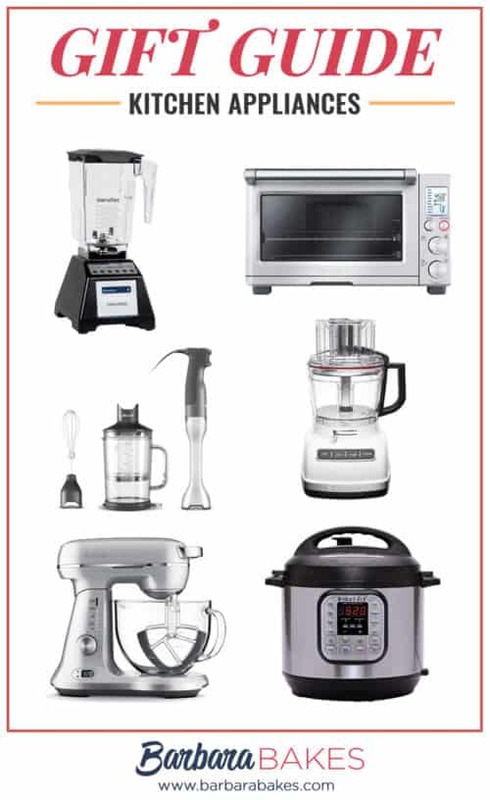 If you’re looking for a knock-out impressive gift for a cook this year, these six appliances are a MUST in my kitchen. I’m not exaggerating when I say I use at least one of these every single day. The Breville Convection Toaster Oven is a little pricey, but I use this little oven at least twice as much as my full-size oven. It makes perfect toast—six slices at a time—and even has a separate setting for bagels that doesn’t burn the backside. It also preheats quickly, so it’s fun to keep cookie dough in the freezer and bake just one or two cookies when a craving hits. I’m in love with my Breville Stand Mixer. The glass bowl makes it easy to see when everything is mixed properly. I love that the beater blade is included as part of the package, which makes it zero work to scrape everything off of the sides and bottom of the mixing bowl. My Cuisinart Food Processor makes quick work of big jobs like shredding potatoes and cheese as well as making nut butters. While I don’t use it every day, I sure am glad to have it when big jobs come along. I still love my Blendtec Blender for morning smoothies and for big jobs. I also love my Breville Immersion Blender for blending soups and sauces right in the pot. The guard on the bottom doesn’t scratch nonstick pots, and the bell shape makes for less suction than other brands I’ve used. (If you’re getting an Instant Pot, be sure to grab a copy of my pressure cookbook, The Electric Pressure Cooker Cookbook. It has a great step-by-step to walk help beginners feel more comfortable cooking in the pressure cooker, as well as awesome, family-approved recipes. I have two different-sized Vollrath scoops that are essential in my kitchen. I love this particular brand for the smooth, easy-action release and the easy-to-clean bowl. 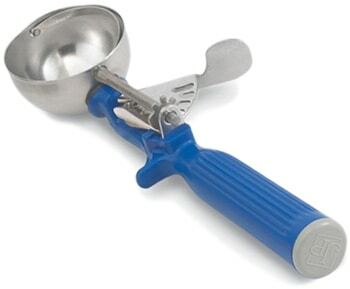 The purple Size 40 scoop is perfect for making cookies. All your cookies will be round and the same size when you use a scoop. Plus, it’s so much quicker than using a baking spoon. I love the larger dark blue Size 16 scoop for portioning out batter for muffins and dividing batter evenly in my Bundt pans. I even use this scoop to dish up a pretty servings of rice or mashed potatoes. I love my small paring knives from Victorinox, both smooth and serrated, for dicing strawberries and slicing tomatoes, along with other fruit and vegetable prep. While this Kuhn Rikon Watermelon Knife looks like a single-purpose knife, it’s really convenient to have in the kitchen. It’s quite long—16 inches—and sturdy enough to cut through watermelon, crusty breads, or any other large foods. It’s hard to cook much without these essentials, and these measuring cups and spoons make things so much easier in the kitchen. I have two sets of each. This 6-Piece Stainless Steel Nesting Measuring Cup Set is my favorite because it’s got measuring cups for 2/3 cup and a 3/4 cup. I know you could just use the 1/4 cup three times, but having a 3/4 cup just makes me happy. This 6-Piece Measuring Spoon Set also includes a 1/8 teaspoon and a 1/2 tablespoon measuring spoon, which can be especially nice if you’re halving a recipe. I also love how long and thin these spoons are; they’re perfect for reaching the bottom of the spice jar. 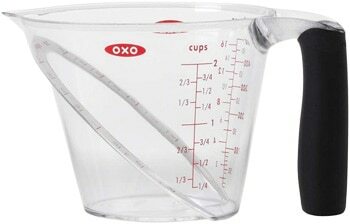 OXO Angled Measuring Cup Set is so convenient for measuring liquids. The measuring cups have measurements that are visible from the top, so you don’t have to bend over to see the side to know what you’ve measured. A high-quality pan is essential to take baked goods from good to great. 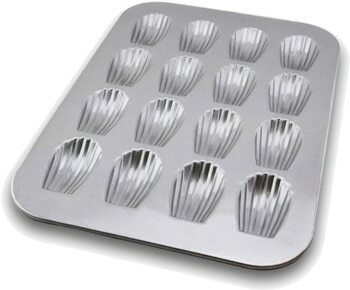 For baking cakes, I absolutely love my USA bakeware pans. These pans have perfectly straight edges (not angled) and a quick release bottom. I have them in both 8-inch square, 9×13-inch rectangle, and 8-inch and 9-inch rounds. I have loved making madeleines this year with my Nonstick Madeleine Pans. Our family loves making roast and Yorkshire pudding. While you can make Yorkshire in muffin cups, they come out big, fluffy, and delicious in these popover pans. This year I’ve also been obsessed with all kinds of mini pans. 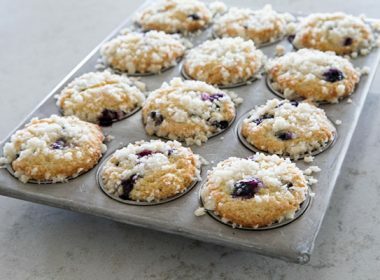 I love my mini-muffin pans for making bite-size breakfasts that are perfect for brunch. 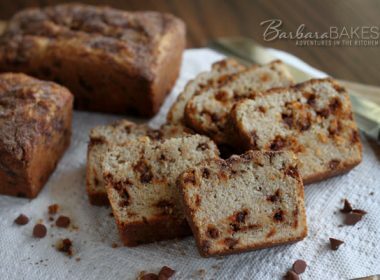 My mini-loaf pans are great for quick breads! They cook up faster than a traditional loaf pan, and they’re sized so I can get two loaves to eat now and two to freeze for later. 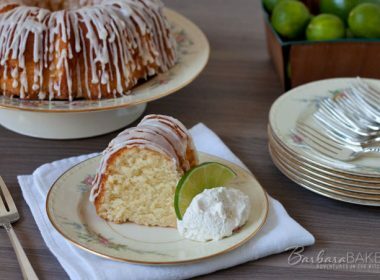 I use mini-Bundt pans in the same eat-one-freeze-one way. A regular Bundt-pan recipe fills two half-size Bundts, and one half-size Bundt fits perfectly in a gallon-sized ziplock. Finally, if you’re hosting a baby shower or fancy get-together, a mini-cheesecake pan makes beautiful and nicely-portioned desserts. While you may not use a Kitchen Torch every day, it really is a blast to pull it out and light it up. It’s a must for the perfect carmelized sugar coating in crème brulee. For most recipes, I’m too impatient to carefully mince my garlic. A Garlic Press makes quick work of mincing. A digital scale is a must-have in the kitchen. It’s inexpensive and making baking so much easier for recipes where I need an exact weight, like weighing chocolate candies for ganache. Last, but not least, is my new pressure cooking dessert cookbook, Instantly Sweet. 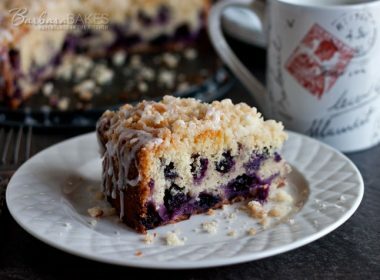 There are some truly awesome sweets in this cookbook; if you have a sweet tooth like me, it’ll be your new favorite! Also, if you haven’t gotten a copy yet, my Electric Pressure Cooker Cookbook is a great introduction to pressure cooking. 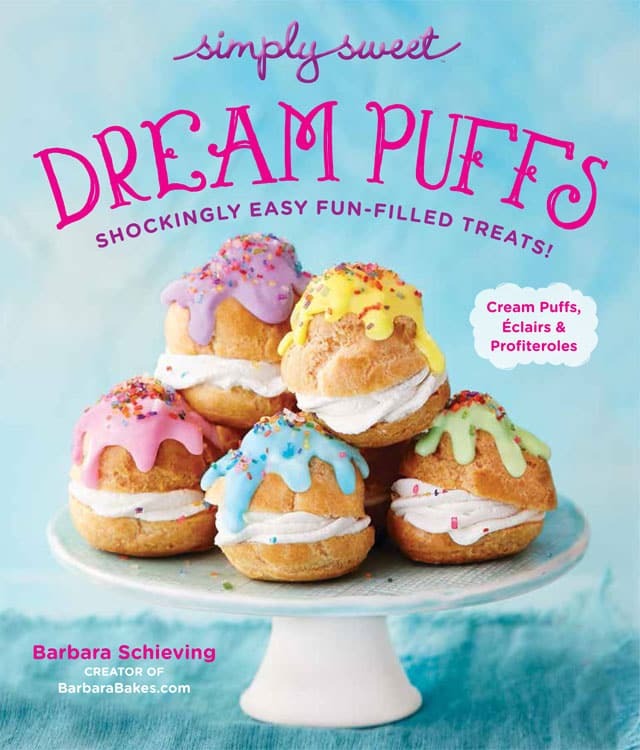 For top-tier holiday desserts, my eBook, Simply Sweet Dream Puffs, will show you how to bake easy-to-make but so-impressive holiday cream puffs and eclairs. 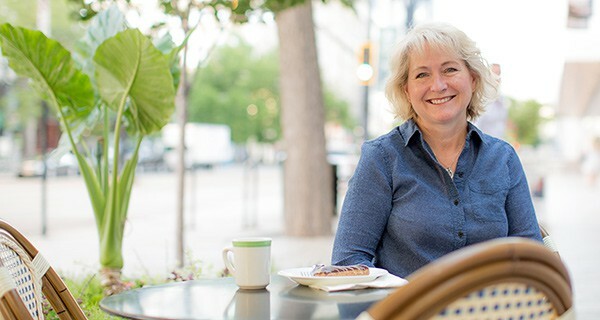 I love learning about the science behind baking, and Cook’s Illustrated’s Science of Good Cooking cookbook explains kitchen science concepts and includes 400 recipes that use the principles they teach. What’s on your kitchen gift list this year? Are there any must-try gadgets that I’m missing? Let me know in the comments! Some of the links in this post are affiliate links. (This means if you click on the link and purchase the item, I will receive an affiliate commission.) However, I only recommend products I use and that I hope my readers will love as much as I do. Lovely Gift ideas Barbara! Hope you had a wonderful Thanksgiving holiday! My days of Black Friday shopping are LONG over…..I start Christmas shopping in January and usually have it done by October. I too do quite a bit online. 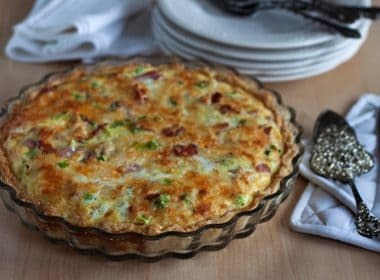 What a wonderful list of goodies you’ve shared….something for everyone who loves to cook and bake. That Breville mixer is a beauty. I have a KitchenAid Classic that our daughter and family gave me quite a few years ago. It’s still doing its thing but one of these days I think it’s just gonna be too tired to get up and go. All the different brands can make it very confusing. Good to hear from someone that has these items what they think of them. I don’t have a wish list for the holidays…my holiday gift already arrived….your Electric Pressure Cooker cookbook. I’ve been having so much fun making new-to-me recipes. I’m learning so much reading all of the helpful information on converting regular recipes and such too. I couldn’t be happier! If someone is asking for an electric pressure cooker to be under the tree….I sure hope one of your books is right beside it. It’s the PERFECT companion. Wow! Great list! One of my longtime wishes was on there – the Breville oven. I need to just break down and get it! I’m pinning this list to refer back to later. Thank you! I would love a Smoothie Maker for Christmas,..I’m eager to try some of the wonderful Smoothie recipes that I have been seeing! I have the cookbook Pressure Cooker Perfection and haven’t gotten through it all yet-I love reading them like novels dogearing pages along the way then go back and pick what I want to make. I’m adding the 6 cup Bundt Pan and the 5″ springform pan to my wish list-I really want to try one of your cheesecakes in the pressure cooker. This is such a great collection! I love how the measuring cups have more than just the standard sizes! I stick to online shopping a free shipping. Going to the store is just too overwhelming for me.